But the statement by the Israeli ambassador did not acknowledge that the Security Council was not criticizing Jewish presence in the city of Jerusalem, but was instead challenging a unilateral action by the state of Israel, backed by the United States, to take over territory through the use of military force and expand Israel’s (never declared) borders while pushing out, killing and denying the presence of the indigenous Palestinian population. As Juan Cole pointed out in 2010 in his synopsis of the history of the city of Jerusalem, “The Assyrians conquered Jerusalem in 722. The Babylonians took it in 597 and ruled it until they were themselves conquered in 539 BCE by the Achaemenids of ancient Iran, who ruled Jerusalem until Alexander the Great took the Levant in the 330s BCE. Alexander’s descendants, the Ptolemies ruled Jerusalem until 198 when Alexander’s other descendants, the Seleucids, took the city. With the Maccabean Revolt in 168 BCE, the Jewish Hasmonean kingdom did rule Jerusalem until 37 BCE, though Antigonus II Mattathias, the last Hasmonean, only took over Jerusalem with the help of the Parthian dynasty in 40 BCE. Herod ruled 37 BCE until the Romans conquered what they called Palestine in 6 CE (CE= ‘Common Era’ or what Christians call AD). The Romans and then the Eastern Roman Empire of Byzantium ruled Jerusalem from 6 CE until 614 CE when the Iranian Sasanian Empire Conquered it, ruling until 629 CE when the Byzantines took it back. As the late Edward Said noted in 2011, “The Zionist claim to the land is one claim among many others. Certainly the Arabs have a much greater claim because they have a longer history of inhabitance, of actual residence in Palestine than the Jews did…..If you look at history, you’ll see that the actual Israelite inhabitance in Palestine, in the Old Testament, amounted to about 200 to 250 years. But there were Mallebites, there were Jebusites, there were Canaanites, there were Philistines, there were many other people in Palestine at the time and before and after. And to isolate one of the claims and say that’s THE claim, that is the real owner of the land — that’s fundamentalism…Because the only way you can back it up is to say ‘God gave it to us’. Political bureau member of Hamas Husam Badran on Sunday dubbed a projected visit by the U.S. Vice President, Mike Pence, to the Buraq Wall a provocation to the Palestinian people. According to Badran, the visit comes as part of U.S. and Israeli intents to impose a new fait accompli on the city following the U.S. President Donald Trump’s recognition of Jerusalem as Israel’s capital. Badran called on the Palestinians across the occupied territories to escalate protests and uprisings at all flashpoints with the Israeli occupation particularly near Jerusalem and al-Aqsa in protest at underway attempts by, the U.S. administration-backed, Israel to Judaize the city. Badran vowed that the Palestinians will never ever forfeit a single inch of occupied Jerusalem no matter the stakes and challenges. The Hamas leader hailed the Palestinian martyrs, injured protests, and prisoners who have stood so firm throughout the anti-occupation struggle, urging the Palestinians to combine forces so as to defend Occupied Jerusalem and al-Aqsa Mosque. Senior Trump administration officials outlined their view Friday that Jerusalem's Buraq Wall (Western Wall) ultimately will be declared a part of Israel, in another move that has enflamed tension across the Middle East and other parts of the world. 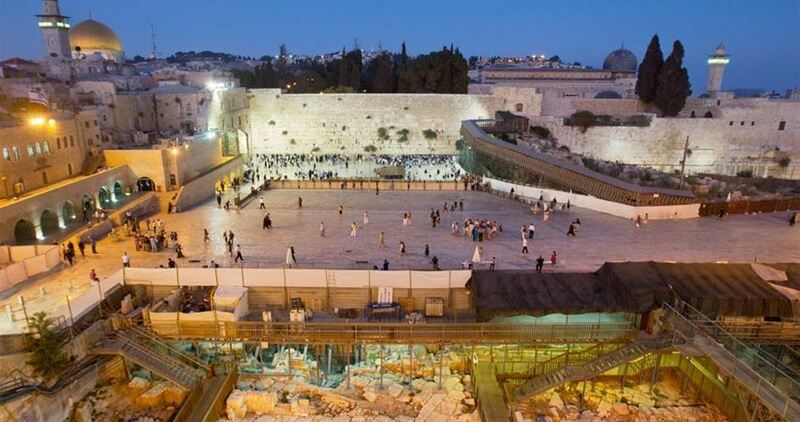 Historical records, however, prove that the Buraq Wall is part and parcel of holy al-Aqsa Mosque. 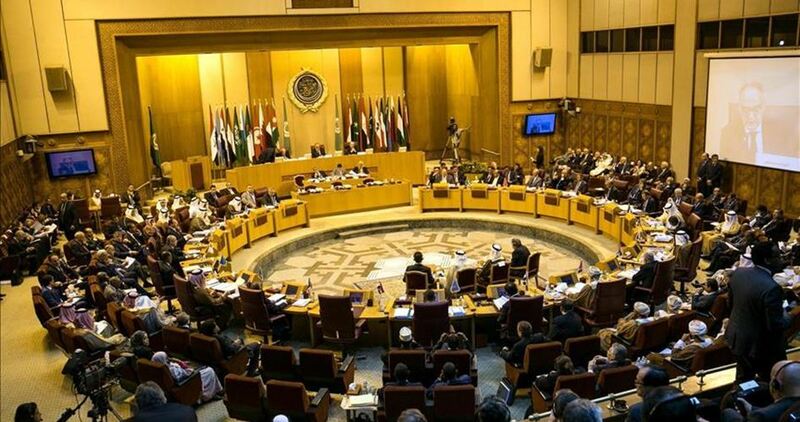 The League of Arab States on Sunday announced the formation of Arab ministerial delegation to work at the diplomatic and media levels to address the repercussions of the US President Donald Trump's decision to recognize Jerusalem as the capital of Israel and relocate the US embassy to the occupied city. In a statement, the League said that the committee comprises the foreign ministers of Jordan, Palestine, Egypt, Saudi Arabia, Morocco, the UAE and the Arab League secretary general. The delegation is scheduled to hold its first meeting in Amman early next week. 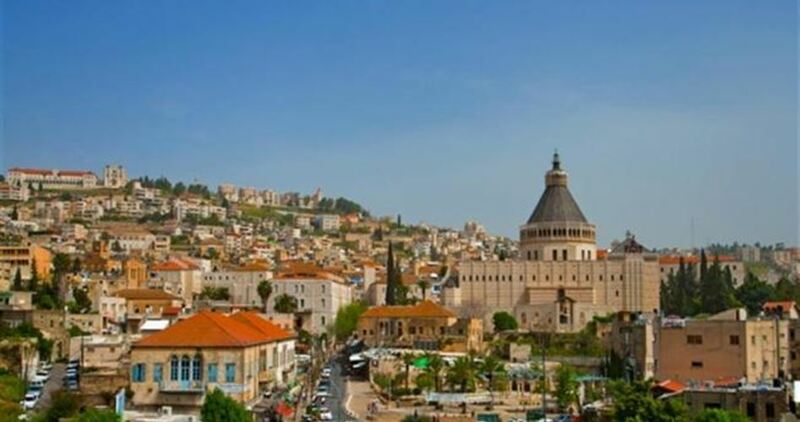 Each of Bari, Florence, Trento, and Bergamo cities of Italy witnessed on Sunday protests and sit-ins in condemnation of the US President Donald Trump’s decision to recognize Jerusalem as the capital of Israel. The events were attended by Palestinian and Islamic communities in the country along with sympathetic Italian citizens. In a press statement, the communities announced their solidarity with the Palestinian people and their just cause. They stressed the importance of respecting the international legitimacy and the rights of people to self-determination. The statement asked the international community to support the Palestinian people against the Israeli occupation and called for recognizing the State of Palestine. Millions of people around the world have taken to the streets over recent days, condemning a decision by the U.S. President Donald Trump to recognize Jerusalem as Israel’s capital. Tens of thousands rallied in the Turkish capital, Ankara, as they expressed their strong condemnation of Trump’s move. 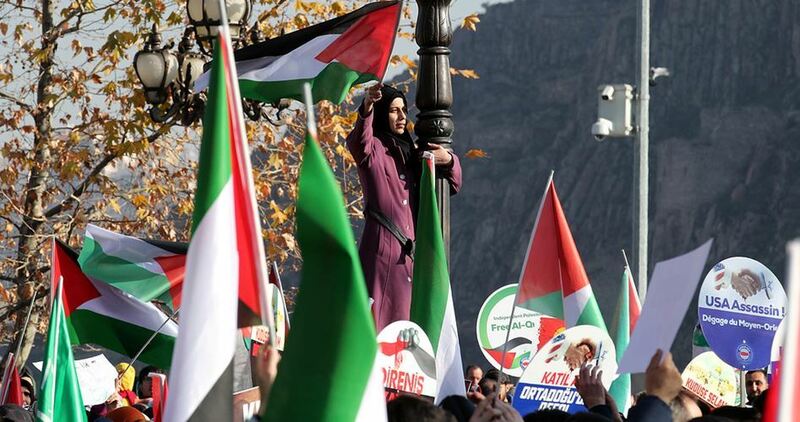 Angry protests have also been staged across Arab and Islamic countries, namely Tunisia, Algeria, Morocco, Jordan, Lebanon, and Malaysia in support for the Palestinian cause and Occupied Jerusalem. The rally-goers urged the government to boycott Israeli and U.S. products and to never recognize Israel as a legitimate entity. At the same time, tens of thousands marched in Karachi, south of Pakistan, calling for anti-U.S. moves so as to pressure the U.S. administration to backtrack on its latest decision. Demonstrations also swept the metropolitan city of London and Manchester in protest at Trump’s biased step. Representatives of Jewish-American groups flocked to the White House, where they yelled chants lashing out at Trump and calling for ending Israel’s occupation of the Palestinian territories and for the U.S. to stop backing the Israeli government. Trump recently recognized Jerusalem as the capital of Israel and pledged to transfer the U.S. embassy from Tel Aviv to the holy city—home to Muslims’ third holiest site, al-Aqsa Mosque—prompting universal condemnation. 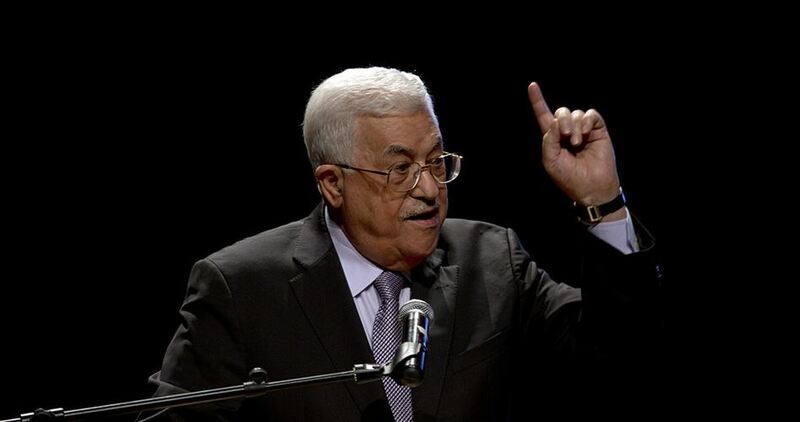 Palestinian Authority (PA) ambassador to the UN Riyad Mansour stated last Saturday that an Egypt-worded draft resolution on the US capital decision was submitted to the Security Council (SC) to put it to the vote no later than Monday, December 18. Mansour told a local radio station that he worked together with Egyptian diplomats at the UN on drafting a text that would reaffirm the previous resolutions of the Security Council on Jerusalem and ask the US administration to reverse its step. 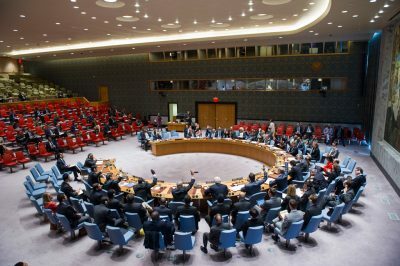 Knowing that the bid at the Security Council would certainly be vetoed by the US, the ambassador said the PA would go to the UN General Assembly if the draft resolution was thwarted. 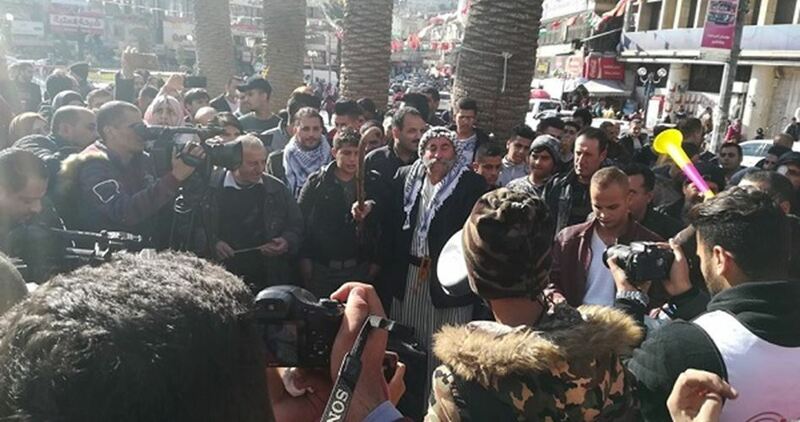 Palestinian activists and citizens organized on Saturday afternoon in Nablus city a protest they called “Dajeej” to express their rejection of the US recognition of Occupied Jerusalem as Israel’s capital. To create the noise, Church bells were sounded and Mosque loudspeakers were used to chant Allahu Akbar (Allah is the greatest), while the participants played musical instruments and taxi drivers honked their horns. The event was held in al-Shuhada area in central Nablus and attended by dozens of citizens. 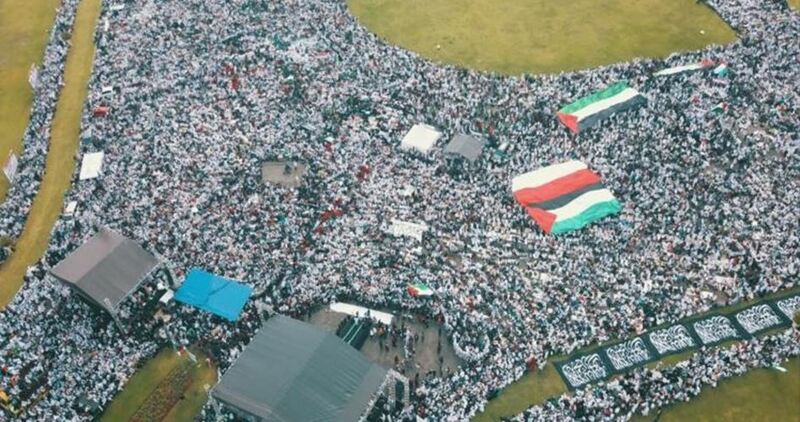 Similar events were also held simultaneously in different areas of Palestine and other cities around the world, according to the organizers. The Palestinian Youth Movement has called for stepping up protest moves across the occupied Palestinian territories in response to the U.S. President Donald Trump’s recognition of Jerusalem as Israel’s capital. 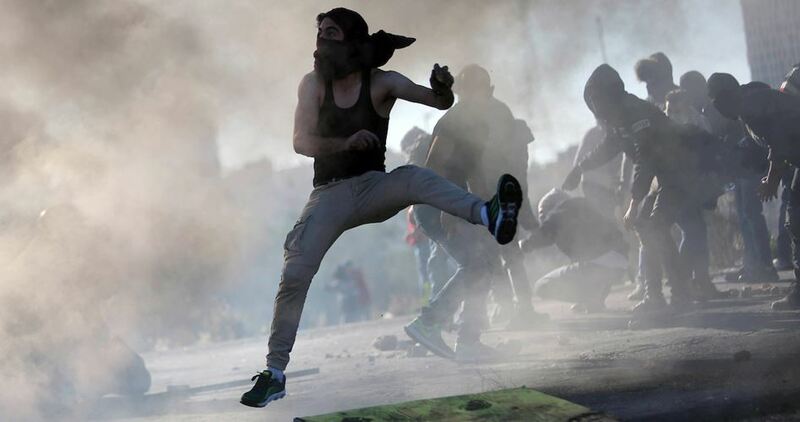 In a Saturday statement, the Youth Movement urged the Palestinian Authority, chaired by Mahmoud Abbas, to opt for serious steps and work on boosting armed resistance and anti-occupation uprisings. The movement vowed to keep up protest moves in support for Occupied Jerusalem, calling on the Arab and Islamic governments and institutions to break their silence and react to the U.S. biased decision. The statement mourned the four Palestinian protesters who were killed by the Israeli occupation army during Friday’s anti-Trump protests. On Friday, four Palestinians were fatally shot by the occupation army and over 560 others injured in clashes across 70 flashpoints with the Israeli forces in the West Bank, Occupied Jerusalem, and the blockaded Gaza Strip. Tension has reached a zenith across the occupied Palestinian territories after Trump recognized, in a Wednesday speech from the White House, Jerusalem as the capital of the self-proclaimed Israeli state and pledged to transfer the U.S. embassy from Tel Aviv (territories occupied in 1948) to the historic city—home to Muslims’ third holiest site, al-Aqsa Mosque. 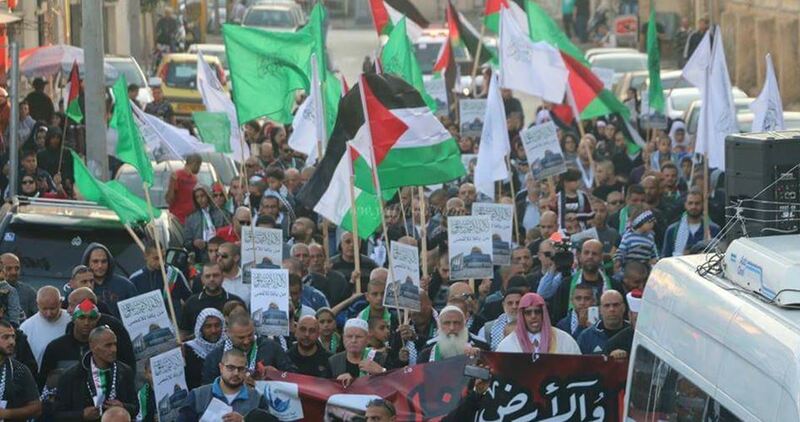 Thousands of Palestinians on Saturday participated in a march that kicked off in Jaffa city in 1948 Occupied Palestine in support of Occupied Jerusalem and in protest at the US recognition of the holy city as the capital of Israel. 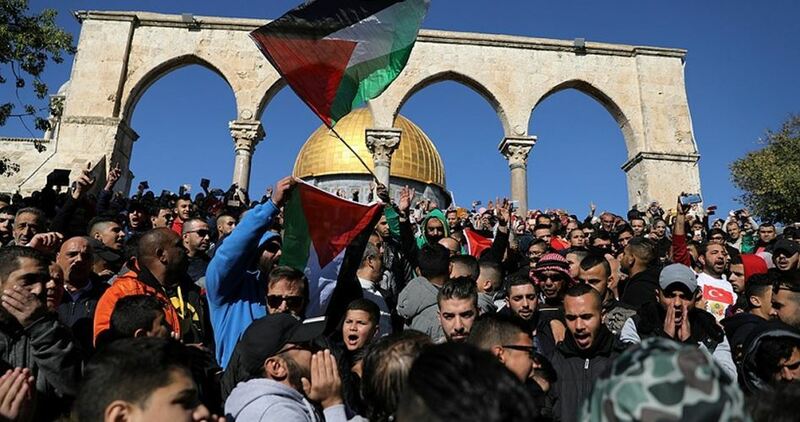 The protesters carried the Palestinian flags beside Islamic banners and chanted slogans supporting Occupied Jerusalem in addition to others denouncing the US embassy transfer from Tel Aviv to the holy city. A state of tension and outrage has been prevailing among Palestinians in 1948 Occupied Palestine since the US President Donald Trump recognized Occupied Jerusalem as the capital of Israel. 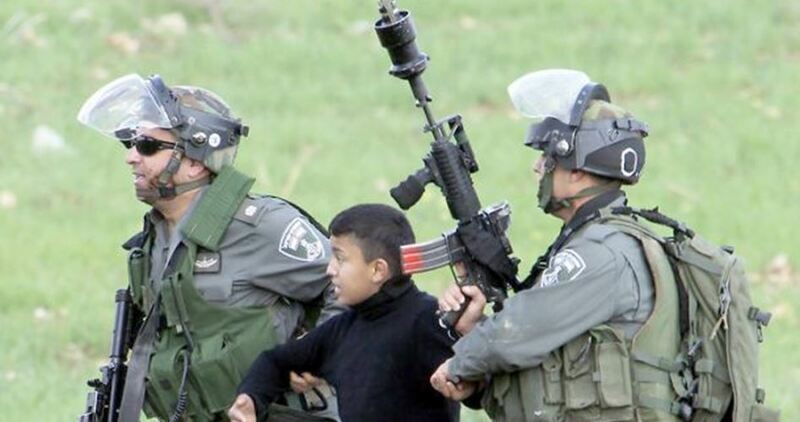 The US House of Representatives member for Minnesota, Betty McCollum, has demanded that the US taxpayer money must not be used to support the Israeli occupation forces who detain Palestinian children. The US official said in an article published by The Nation newspaper that Israel is the greatest beneficiary of the US military assistance, part of which flows to Israel's abusive detention of Palestinian children. McCollum added that the Israeli-Palestinian conflict has persisted for decades, including 50 years of Israeli military occupation of Palestinian lands. To help sustain the occupation, Israel's military forces have arrested, interrogated, and imprisoned thousands of Palestinian children mostly for throwing stones. She explained that children under the age of 12 are taken from their beds at night handcuffed and blindfolded by the Israeli soldiers to the detention centers. Under the Israeli military law, these children are denied access to lawyers during interrogation, and even younger children are regularly denied access to their parents during interrogations. She concluded by saying, "I firmly believe that Palestinian children deserve to be treated with the same humanity, dignity, and human rights as any child anywhere including children in the US or Israel." A one million-person march is slated to be held across the blockaded Gaza Strip on Friday to protest U.S. President Donald Trump’s recognition of Jerusalem as Israel’s capital. According to the National and Islamic Factions’ Follow-Up Committee, mass-demos will be held simultaneously in all Gaza provinces, from Rafah to Beit Hanun. The committee called on the Palestinians to join the march right after Friday’s noon prayers, at around 12:30 a.m., and to raise the Palestinian flag in protest at Trump’s racist move, which it said contravenes international law and resolutions. The march comes as part of underway protest moves staged across the occupied Palestinian territories and overseas to speak out against Trump’s Wednesday recognition of Occupied Jerusalem as the capital of Israel, overturning the U.S.-brokered peace process and signaling a green light for altering the long-held status quo in the city—home to Muslims’ third holiest site, al-Aqsa Mosque. Hundreds of Palestinians marched in Umm al-Fahm streets on Thursday evening, protesting US President Donald Trump’s recognition of Occupied Jerusalem as Israel’s capital. The protesters raised the Palestinian flag and chanted slogans stressing Palestinians’ commitment to Occupied Jerusalem as an exclusively Arab city and the eternal capital of Palestine. The march dovetails a series of protest moves staged outside the U.S. embassy in Tel Aviv against Trump’s move. Arab MKs (lawmakers at the Israeli parliament—Knesset) also announced their decision to boycott a projected speech by the U.S. Vice President Mike Pence, slated to be delivered on Monday. Another march is expected to be staged on Saturday in Yafa following afternoon prayers at al-Jabaliya Mosque, down to al-Ajami Park. Over recent days, Israeli police and intelligence forces summoned a number of protesters and activists to questioning over involvement in anti-Trump demos as part of underway attempts to quell simmering protests. According to Arab 48 news site, the Israeli police in Wadi Ara and Umm al-Fahm arrested six Palestinians who participated in pro-Jerusalem events. An Israeli court extended the remand of a number of protesters on suspicions of hurling stones at Israeli patrols and buses. Tens of thousands of protesters flocked to the U.S. Embassy in Greece’s capital of Athens, denouncing US President Donald Trump’s recognition of Occupied Jerusalem as Israel’s capital. 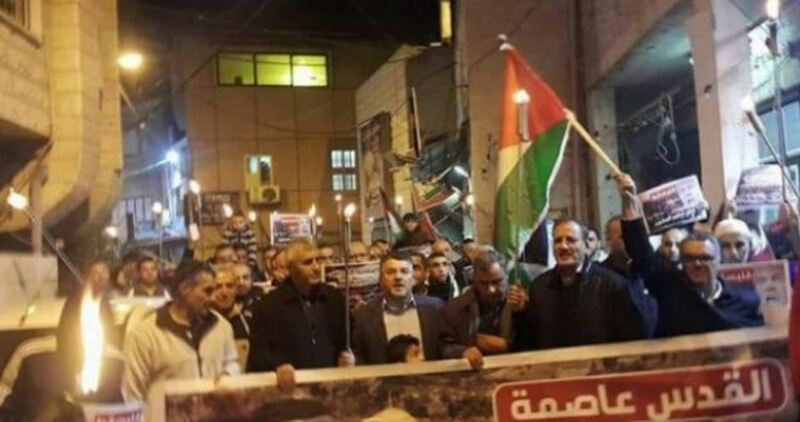 The demonstrators raised Palestinian flags and banners speaking up for Palestinians’ right to establish an independent state on the 1967 borders with Jerusalem as its eternal capital. Activists urged the Greek government to implement the recommendations set forth by the parliament, most notably the recognition of Palestinian statehood. Secretary-General of the Communist Party of Greece along with trade union leaders and representatives of the International Trade Union Confederation were in attendance. Another march is expected to kick off on Friday evening as part of ongoing protests against Trump’s move. Palestine’s Ambassador to Greece, Marwan Toubasi, hailed the protesters who have stood firm to the racist and illegal decisions adopted by the incumbent U.S. administration. The ambassador called on the Greek government to immediately recognize Jerusalem as the capital of the Palestinian State. 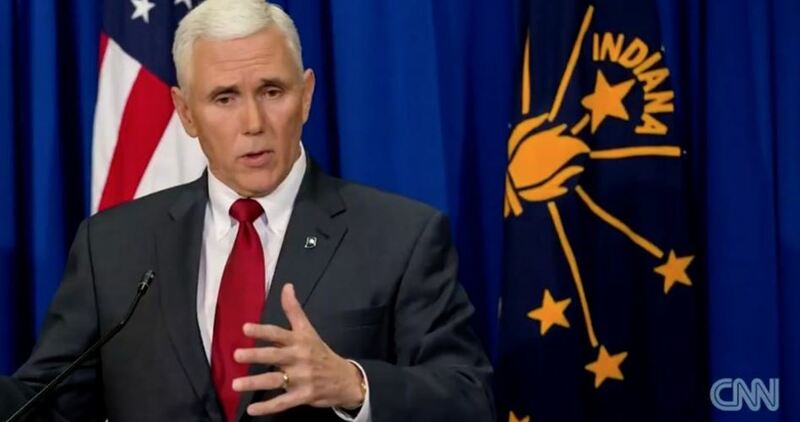 The White House on Thursday announced postponing the upcoming visit of the US Vice President Mike Pence to Israel and Palestine, which was slated on December 19, days after Palestinian officials cancelled plans to meet him. According to the Hebrew Walla website, the delay decision was made upon request by the White House due to US Congressional votes on tax reforms. The change of plans comes days after Palestinian people strongly refused meeting with Pence and officials cancelled their meeting with him in the West Bank. This followed President Donald Trump's decision last week to recognize Jerusalem as capital of Israel and to move the US embassy to Jerusalem from Tel Aviv. 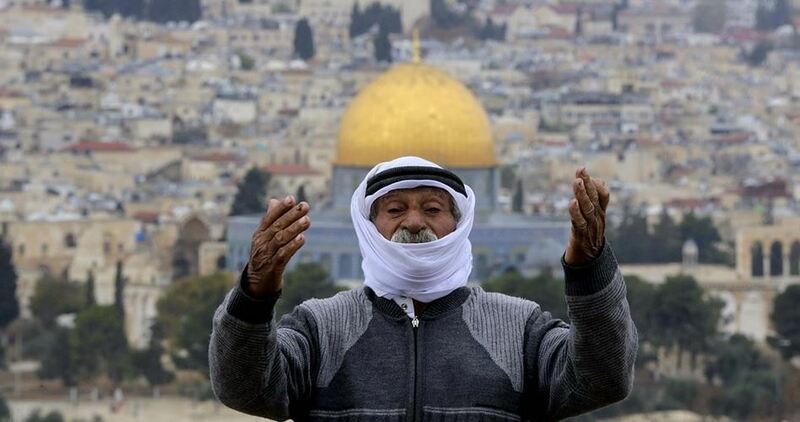 The Hamas Movement has warned that it is time for the Israeli occupation state to pay dearly for its crimes against the Palestinian people and their holy sites. “Today, we will give a promise and send a warning. We promise our people to achieve victory and we warn this enemy (Israel) that its attacks against our people and holy sites have reached its peak and it is time for it to pay its debts,” Hamas stated in a press release issued on its 30th founding anniversary. "All miserable decisions taken to declare Jerusalem city a capital for the occupation (Israel) are considered stupid and will be doomed to failure,” it added. 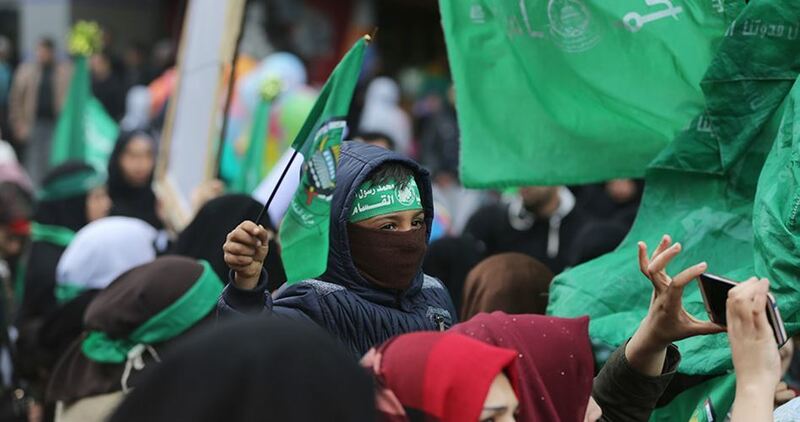 Hamas called on all factions to share the responsibility of the homeland and work together on protecting the Palestinian rights and national constants and renouncing all forms of security cooperation with the Israeli occupation. 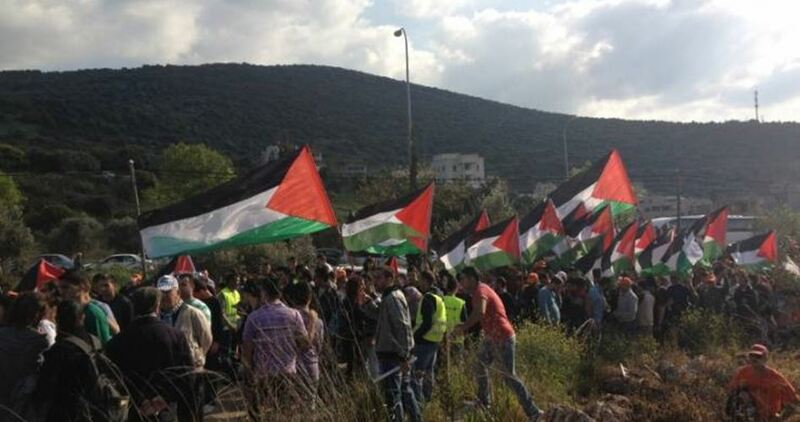 The High Follow-up Committee for Arab Citizens of Israel has called on all Palestinian citizens to participate in the central march to be organized on Friday afternoon in Sakhnin city in the Lower Galilee. According to a press release on Wednesday, the committee said the march would start from outside al-Nour Mosque in al-Shuhada street and proceed to the Land Day Martyrs Memorial before rallying in the municipality square. The committee affirmed that the march would send a clear message from the steadfast Arab masses to the US, denouncing its recognition of Occupied Jerusalem as Israel’s capital. The participants in the march will also express their support for the Palestinian people’s rights, especially their right to Jerusalem, the capital of their future state.